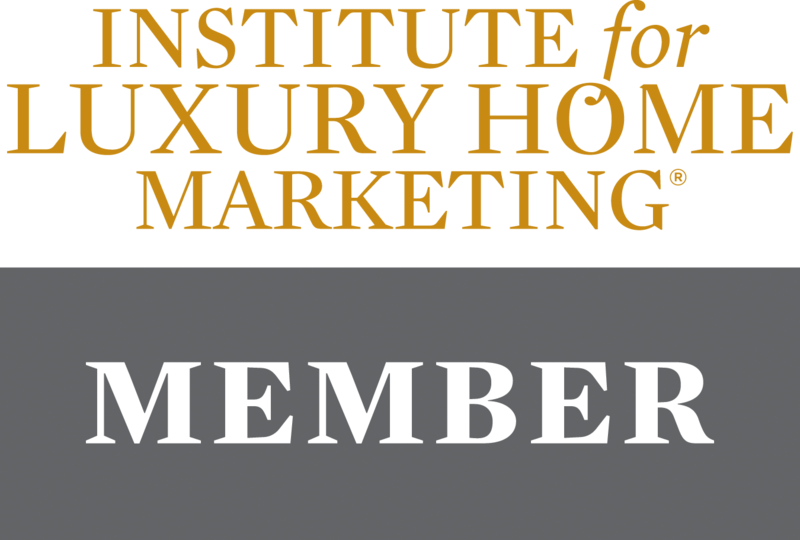 The Institute for Luxury Home Marketing® is comprised of real estate professionals who have completed special training in understanding and meeting the needs of the very successful. The Institute is committed to providing the training and tools necessary to help its members deliver outstanding service to the buyers and sellers of luxury homes. Using my knowledge of luxury marketing strategies, I will work with my in-house marketing team to implement a customised lifestyle marketing plan for your luxury residence. The Institute’s network of luxury real estate experts reaches around the globe. This means there are thousands of luxury agents – located across North America and around the world – with whom I can network. You’ll benefit from these valuable contacts. Put a bigger tool box to work selling your property. I have a long list of luxury marketing tools which I can put to work for you. Proprietary high-quality property brochures designed to appeal to the affluent buyer. Enhanced online marketing of your property on international MLS which reaches hundreds of thousands of real estate professionals around the world. Advertising opportunities in luxury home magazines and websites. Access to WealthEngine tools for screening and conducting targeted marketing campaigns to financially qualified prospects. Access to vendor marketing partners who provide a wide range of special marketing services.